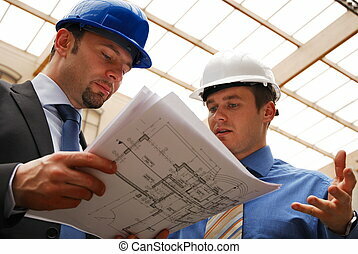 Two architects reviewing the blueprints. 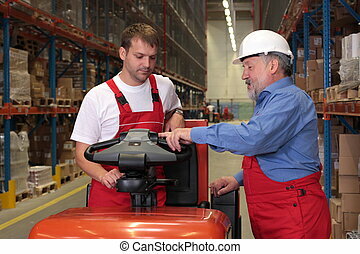 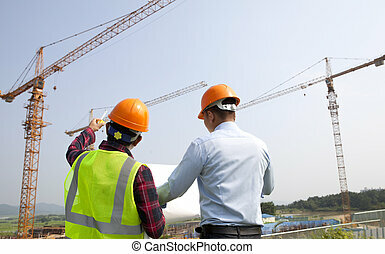 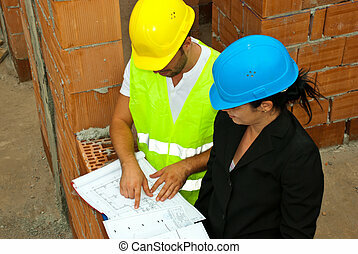 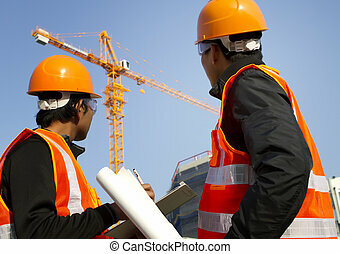 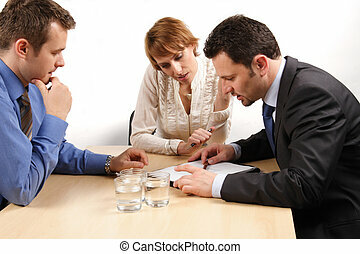 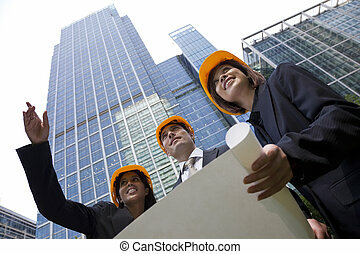 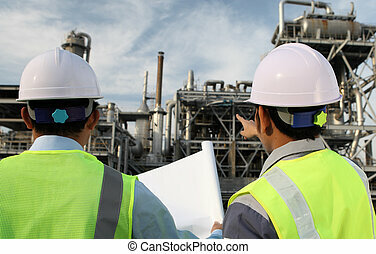 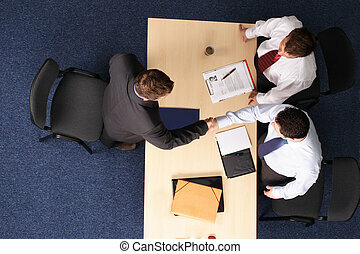 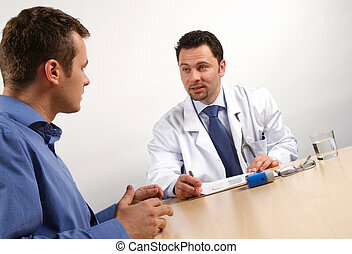 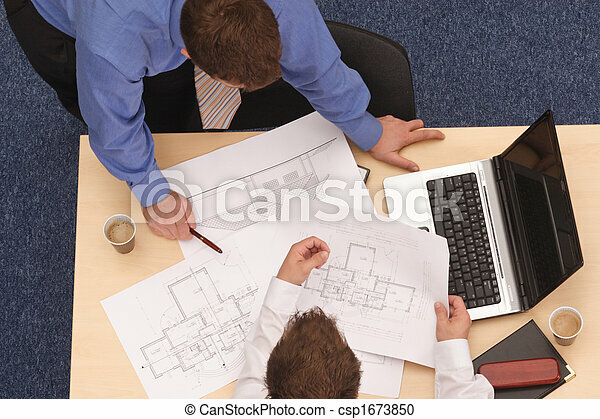 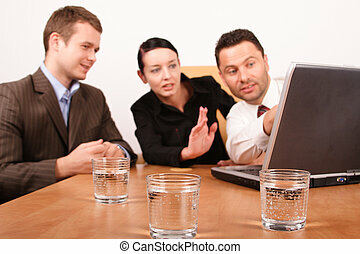 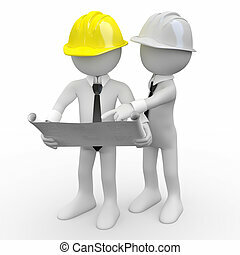 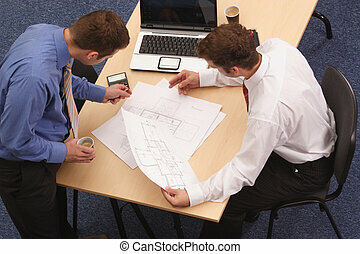 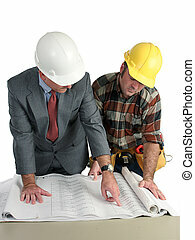 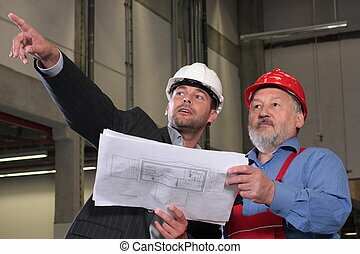 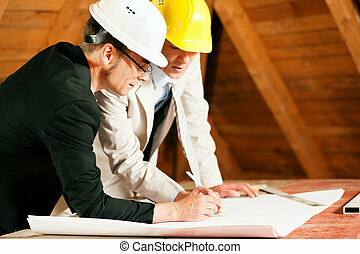 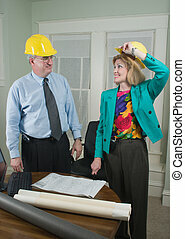 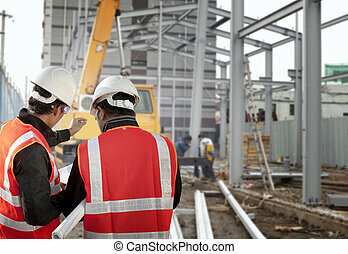 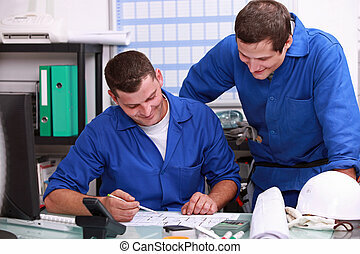 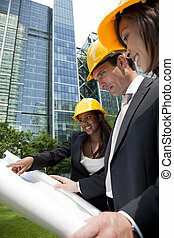 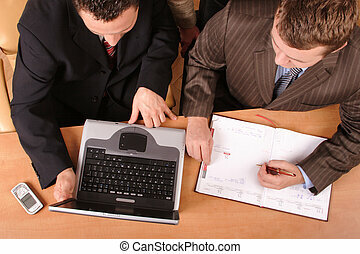 Aerial view of two businessmen in a corporate setting going over the blueprint details. 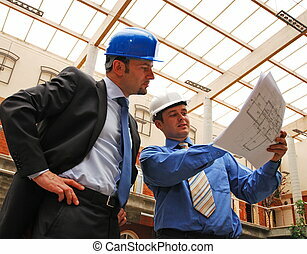 Architect showing client blueprints in the office. 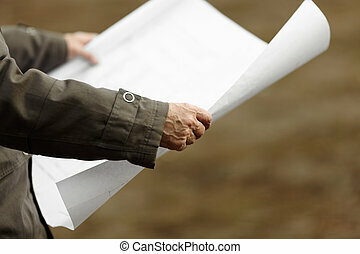 Landscape horizontal orientation. 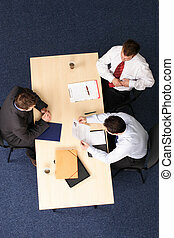 A young man at a a job interview with two interviewers, showing them his resume.Aerial shot taken from directly above the table.